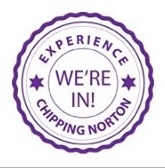 Premier Inn is planning a 70 room hotel in Chippy. The budget hotel chain’s owner, Whitbread, confirmed to the Witney Gazette that it has bought the Castle View site on Spring Street, together with the ambulance station and Chestnuts site, and is looking to build a Premier Inn there. The Witney Gazette has reported that Castle View and the ambulance station will be demolished, but that the Chestnuts building will be kept and turned into flats. Premier Inn has stated that 30 new jobs could be created as a result of the plans. A planning application has not yet been submitted to WODC but is being worked on ‘over the coming weeks’. This entry was posted in news, places and tagged ambulance station, Castle View, Chestnuts, Chipping Norton, hotel, Oxfordshire, Premier Inn, West Oxfordshire District Council, Whitbread, Witney Gazette, WODC. Bookmark the permalink.